Democratic gubernatorial candidate Rod Blagojevich on Tuesday outlined plans for the state parole system that he said would make Illinois safer by decreasing the number of repeat criminals. “I’m outlining new steps to close gaps in the state’s parole system, to give Illinois parole agents additional support, more colleagues, and advanced power,” Blagojevich, currently a U.S. congressman representing Chicago, said at a downtown Chicago news conference. Blagojevich said the parole system is an issue because Illinois will release about 35,000 convicts in the next year, which would be “the highest number of people on parole in state history,” Blagojevich said. Based on past recidivism rates, this could mean a sharp increase in the number of repeat offenders, he suggested. “More than one third, 36 percent of offenders, were returned to prison within three years of their release,” he said, citing Illinois Department of Corrections statistics. Blagojevich’s plan includes doubling the number of state parole officers, requiring more meetings between parolees and officers, increasing treatment for drug offenders, and streamlining the ability of officers to sanction parole violators. He said those sanctions could include electronic monitoring and stricter curfews for parolees. “We have to take action to stop this revolving door of recidivism,” Blagojevich said. While the number of state parole officers has already doubled during the administration of Republican Gov. George Ryan, Blagojevich said the state “desperately needs more parole officers.” The candidate also criticized the track record of his Republican gubernatorial opponent, Illinois Attorney General Jim Ryan. Terri Hickey, a spokeswoman for Jim Ryan’s campaign, said the Blagojevich plan would be cost-prohibitive for a state facing severe budget problems. Blagojevich said his proposals would cost “in the neighborhood of $25-to-$27 million,” but he believes the programs would at least partially pay for themselves, as fewer repeat offenders would mean fewer new trials and reincarcerations. With clemency hearings for all Death Row inmates starting Tuesday, Blagojevich reiterated his support of a pardon for Rolando Cruz, but said he opposes a blanket commutation for all Death Row inmates. 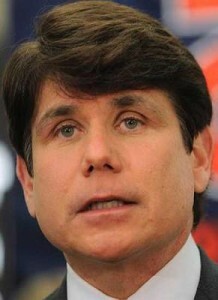 Blagojevich criticized his opponent for not publicly supporting Cruz’s efforts for a pardon. “We all know Rolando Cruz was innocent, and yet Jim Ryan insists that he did nothing wrong and refuses to support a pardon,” Blagojevich said. “So I call on Jim Ryan to change his position.